When last we left, some thugs were making demands of Liliana Vess while using Gariel as leverage. And here we open with Kallist waking from his drunken stupor. I was ready to make excuses for Marmell deciding to tease us, but it turns out there was no need. Like a said, Kallist wakes. He's glad to find himself passed out on the kitchen table at home and not one some street somewhere. He's thirsty and there's dried drool on his chin and he solves both problems by opening the window and sticking his hands out to cup the rain. As he freshens up, he feels like he's missing something important. Why he woke up. He was sure there was... something. A loud noise perhaps? From inside his house? Then he hears a faint sound coming from his kitchen doorway. 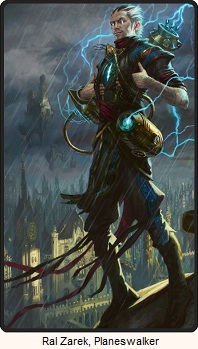 At the best of times, Kallist wasn't a fraction of the mage Liliana was; he'd had training, yes, but his skills had always leaned more toward the sword than the spell. And now, with more than a little alcohol still flowing through his blood, anything approaching a complex incantation was beyond him. Nevertheless, spurred on by a sudden burst of fear, a swift whisper allowed Kallist to cloak himself in the thinnest, flimsiest of illusions. It wasn't much - but made him appear as though he still held both hands outside, cupped to catch the rain, when in fact one had dropped to the hilt of the dagger he wore strapped to his right thigh. It felt awfully light in his hand, and he had a moment to wish that he'd chosen the window nearer the bed, where his broadsword rested in easy reach. When the intruder is close enough, Kallist spins and drives his dagger through his chin. One intruder down, but were there more? But Kallist didn't know where exactly. Kallist does his best and slowly creeps around his house trying to find him, but he is caught by surprise by the other and is knocked unconscious. He wakes tied to a chair, and a mercenary, Semner, is there with him. A mercenary that Kallist hasn't worked with directly, but he's worked with people who have worked with him. He's not a pleasant fellow. Semner is intent on getting the answer to one question. "Where is Jace Beleren ?" Worried that Liliana would be angry if he told the truth, Kallist dodges the answer. Semnar isn't up for playing games however. He signals for his men (actually two men, and one woman), and they come in dragging a soaked Liliana Vess in with them complete with a bag on her head. He's surprised they were able to take a mage of her caliber. They take the bag off her head and she says she's sorry. Then Semner repeats his question. I only gave you a small sample of what the whole chapter was like. The entire chapter was of equal quality. I thought we were going to have a chapter where Kallist, a pathetic lovesick fellow, knows nothing of what went on during the dance, and we'd have to wait until Chapter 3 to find out what happened, but I was wrong. The action got started quickly and just kept on going. Actually, a better word would be drama. There wasn't a lot of "teleport here" then "teleport there" and then do a supermove that destroys countless enemies that Wintermute was doing. No. Instead we got to be inside the head of Kallist. We got to know his thoughts and concerns, his assessment of his abilities and the situation. It's a 1000% superior style. 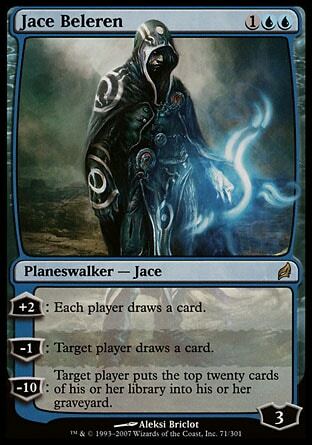 I'm going to say it now, if you're a fan of Jace, Liliana, and Tezzeret. 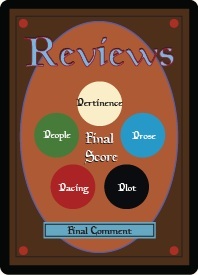 If you're a fan of Magic fiction in general, you'll probably want to read this book yourself. There are thirty-three chapters to this book on top of the Prologue and Epilogue. 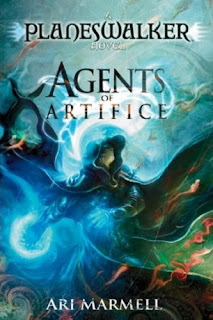 It's going to be over a month before I finish this one, so even if you order Agents of Artifice now and wait for it to arrive, there will still be plenty of book left for you to read if keep coming back here in the mean time. Of course you can absolutely still come back here after reading the book first and read my first impressions. Compare them to your own and see who made more correct prediction and assumptions. See if you liked or hated some characters more or less than I did. If you want the book immediately you could of course pick up the Kindle version and read it on your computer or iphone or android phone if you don't own a Kindle and start reading right away. Both books are conveniently linked on the mtgfiction table of contents page for this book. I make no guarantees about the rest of the book, but based off what I've read so far, it looks like this one is a keeper. I should probably mention all the information we were given and not just talk about the mood and quality of writing. Kallist is capable with a sword and isn't completely incompetent with magic. I was impressed with him in this scene and he's been raised up considerably as a character in my eyes. There is quite a strong contrast between this Kallist and the drunken lovesick fool from Chapter 1. He also is/was a mercenary, knows about Liliana's magical ability despite Gariel being so surprised, and knows of (if not is/was friend's with) Jace Beleren. And Jace and Liliana also have a history together. I thought Kallist was going to be a throwaway character just to get the ball rolling. I thought Liliana was going to dump him and leave him, and his only purpose was to humanize Liliana from the force of terror that she is on the cards. I was wrong. It looks like Kallist may play a much larger role in this than I had expected. We know Jace and Liliana will make it through this alive. Maybe crushed emotionally, maybe severely injured or partially crippled, or something else, but they won't be killed. If there are actually some characters that are part of this story that are complete unknowns, all the better. The last little bit of information is that Semner calls Kallist by the name "Rhoka". It could simply be his last name, but it wasn't exactly explained so I'm not sure what to make of it.